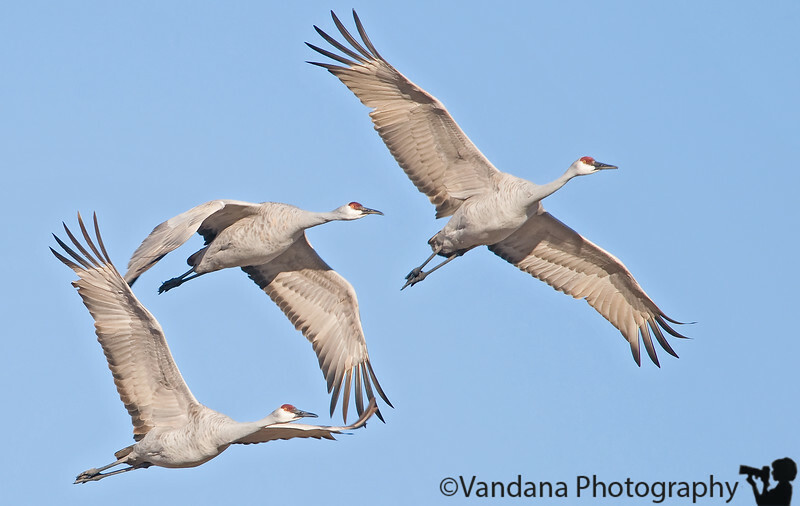 December 31, 2008 - The sandhill cranes wave goodbye to 2008 ! Fabulous capture of the Trio of Sandhill Cranes in flight. Super shot -- love the diagonal line of flight too. gorgeous as ever! happy new year to you too! Terrific shot! Wonderful sharpness, clarity and dof. Vandana, as usual a great shot! Outstanding, Vandana! Happy New Year to you. Absolutely wonderful capture! Happy New Year to all of you and many happiness to come.